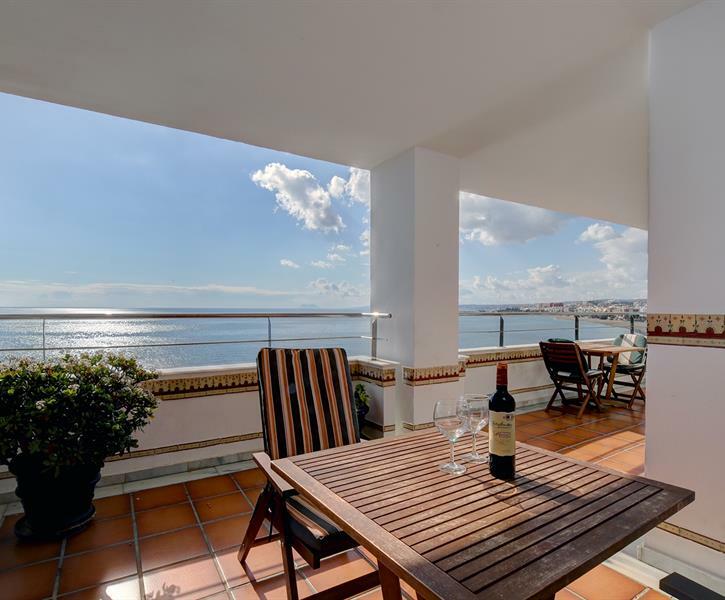 Frontline apartment with stunning sea view, situated right on the boulevard, direct access to the beach, next to the Carrefour supermarket, 5 minutes’ walk to the centre of town. Stayed as two couples. The balcony and views are breathtaking. Could have sat there all day listening to the waves. The beach is on your doorstep and the beautiful town of Estepona a few minutes walk along the promenade. The apartment is comfortable and extremely well equipped for any evenings in. Loved Estepona-so many restaurants to choose from-would love to go back one day. The Carrefore supermarket next door sells everything you will need with a great choice of Spanish produce. We also took the bus to Puerto Banus for around 6 Euro each return. Loved the view of Gibraltar and sometimes at night, the coast of Africa. A great holiday! Our week at 302 was really enjoyable. the apartment had every conceivable facility and was spotlessly clean and comfortable. we met Tom on arrival and were shown around the place and had access to a book with information regarding things to do and places to see including local transport details. We hired a car from Malaga Airport and the secure parking was always available when we returned. We would like to return to Estepona maybe for a longer stay but all the apartments seem so popular there are not many vacancies for months to come. we will definitely like to book for next summer. Since my last visit to this apartment there have been some improvements and updating which enhance the comfort and presentation. It was my second visit and I will look to booking again next year.